Digging a garden? Building a fence? Planting a tree? Installing a walkway or light standard? Never assume you know the location or depth of a cable. 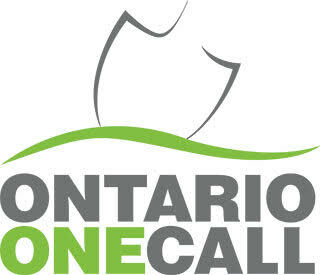 Call Ontario One Call before you dig! Underground excavation accounts for more than 20% of power line contacts, and your locate can prevent not only costly repairs due to accidental cable dig-ins but may also save your life. If you plan to dig, drill, blast, auger, or drive stakes (including fence post spikes) into the ground, you must call Ontario One Call before you dig. Ontario One Call will notify all its members who may have underground facilities near or at the proposed work site and arrange for FREE field locates. Please call at least 5 working days before digging to schedule this service. During the busy spring season, more notice may be required. Arranging to have underground utilities located before you dig is also the law. See the Ontario Occupational Health and Safety Act Construction Projects section 228. The District Energy System can also be located by contacting Ontario One Call. District Energy Windsor (DEW) offers a district heating and cooling service to the Windsor downtown core. District heating is delivered in the form of hot water with a maximum temperature between 85 and 117°C (243°F) under a pressure of up to 203 psig. District cooling is delivered in the form of chilled water with a minimum temperature between 2.2 and 3.9°C (36-39°F) under a pressure of up to 150 psig.